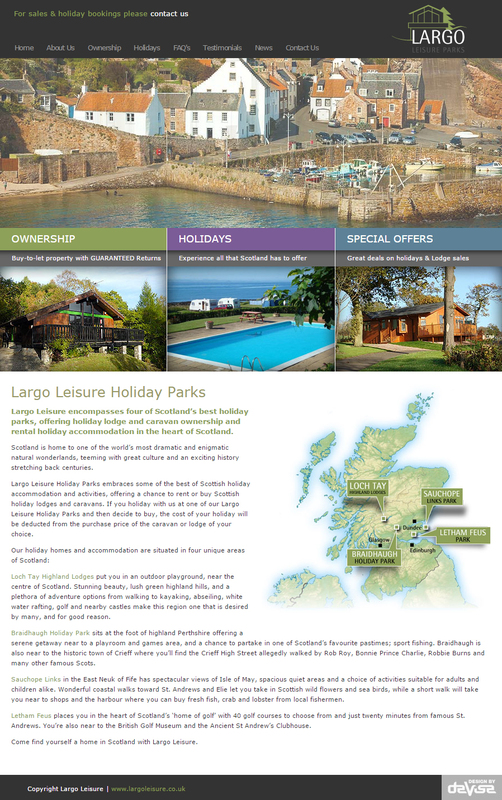 Largo Leisure is a Scottish holiday park and lodge company. Originally they had 5 different websites to promote each holiday park. We advised that they consolidated into one main site promoting all the parks with the added ability for Lodge Sales promotion. We also re-vamped their logo to bring it in line with the new website. We produced a C5 Content Management System, allowing Largo to update almost every element of their new website.